Professor Stephen Smale will become the inaugural vice dean for research at UCLA's David Geffen School of Medicine, beginning Oct. 1, according to a recent announcement. Smale will be taking over for professor Judith Gasson who has served as senior associate dean for research since 2012. He will provide oversight of and support for all aspects of the school's research enterprise, stated Dr. John Mazziotta, vice chancellor of UCLA Health Sciences and dean of the David Geffen School of Medicine (DGSOM), "with the ultimate goal of enhancing the quality and impact of biomedical research at DGSOM, as well as our ability to compete for grants and other awards." His responsibilities will include collaboration with the research theme committees and research institutes, strategic planning regarding space allocation and shared resources, development of research policies and procedures, and interfacing with medical school and campus officials and committees regarding such areas as research compliance and ethical conduct of research as well as oversight of bridge and pilot research funds. Smale will also be working with the vice dean for faculty to promote faculty for prizes and awards. He received an A.B. in chemistry from Cornell University and a Ph.D. in biochemistry from UC Berkeley under the mentorship of Robert Tijan. He completed his postdoctoral training with David Baltimore at the Whitehead Institute for Biomedical Research at MIT before joining the faculty of the UCLA Department of Microbiology and Immunology in 1990. From 1990 to 2007, Smale was a Howard Hughes Medical Institute investigator. He has served as vice chair of the Department of Microbiology, Immunology and Molecular Genetics since 2007; as director of basic and translational research in the UCLA Jonsson Comprehensive Cancer Center since 2010; and as chair of the DGSOM Research Initiative in Immunity, Inflammation, Infection and Transplantation since 2013. He has also made many contributions to bioscience education. In 2014, he was promoted to Distinguished Professor and became the inaugural holder of the Sherie L. and Donald G. Morrison Chair in Molecular Immunology. Dr. Smale’s research addresses the molecular mechanisms of gene regulation in cells of the immune system. 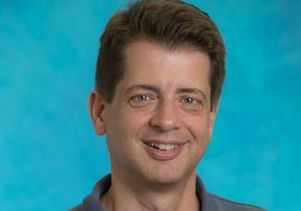 In addition to making fundamental discoveries about the functions of individual transcription factors in lymphocyte development and stimulus-induced gene expression, his laboratory has pioneered the use of genome-wide approaches to understand the logic by which stimuli alter gene expression in mammalian cells.